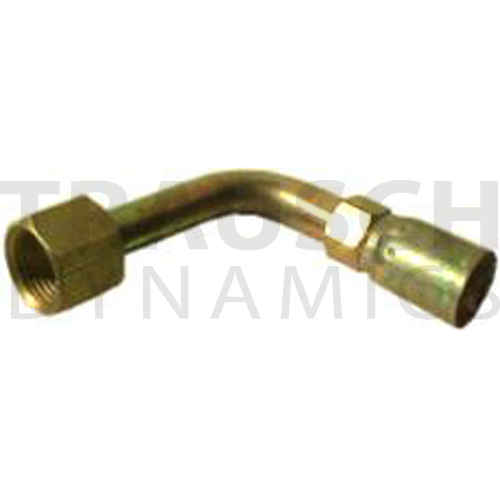 CONNECTOR HOSE END E SERIES, SAE 37 DEGREE (JIC) FEMALE SWIVEL LONG DROP 90 DEGREE TUBE ELBOW, 3/8" HOSE I.D. X 1/2" TUBE SIZE, 3/4-16 FEMALE THREAD. WEATHERHEAD #06E-648 ** OVERSTOCK ** WILL NOT BE ABLE TO ORDER MORE. PLEASE CONTACT A SALES REPRESENTATIVE FOR INVENTORY QUESTIONS.